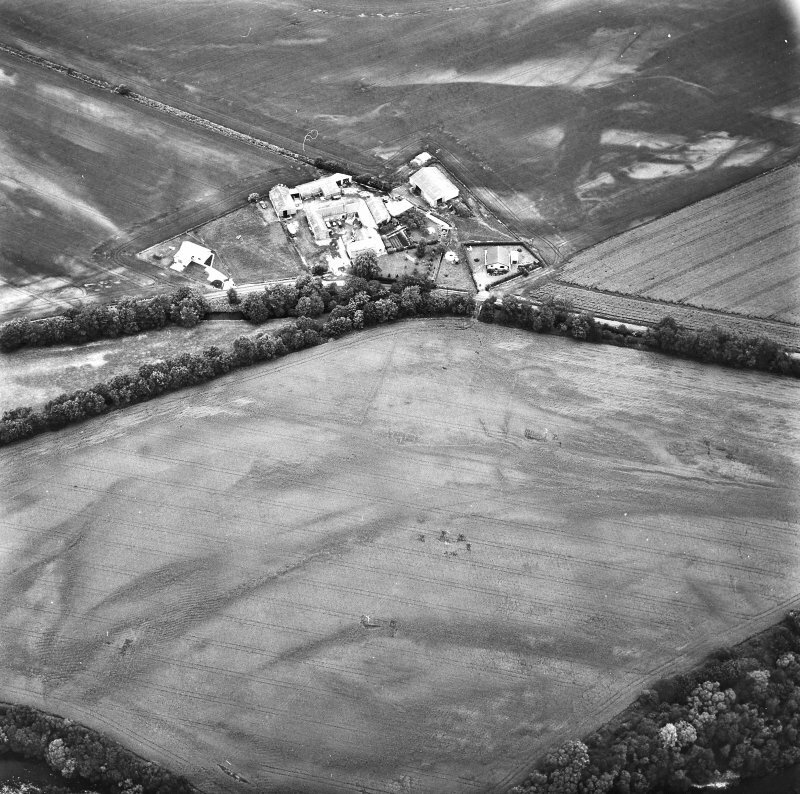 Oblique aerial view centred on the site of a pit-defined cursus and enclosure, taken from the SE. 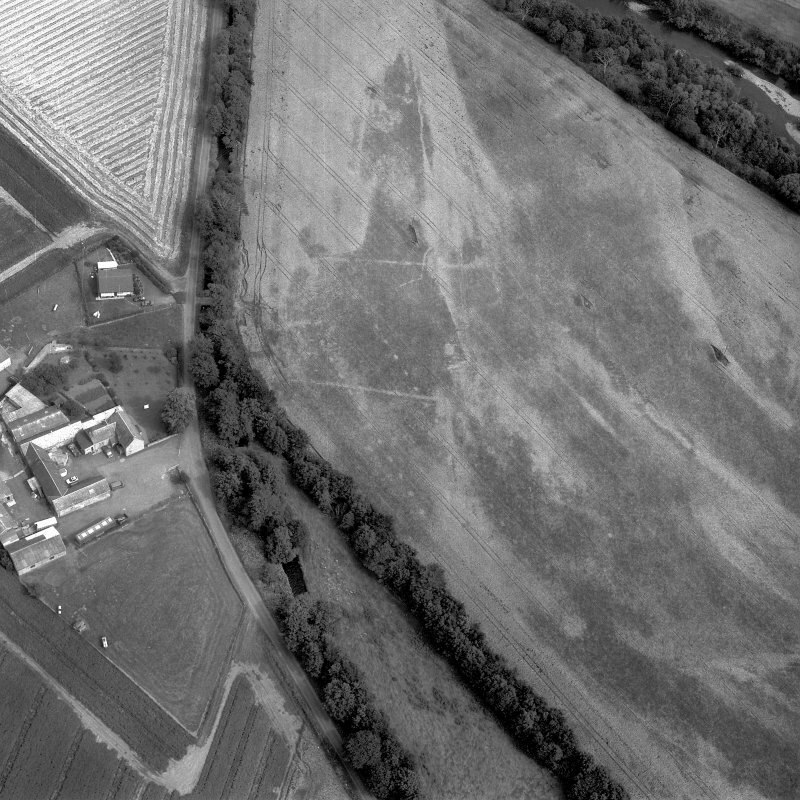 Oblique aerial view centred on the site of a pit-defined cursus and enclosure, taken from the NE. 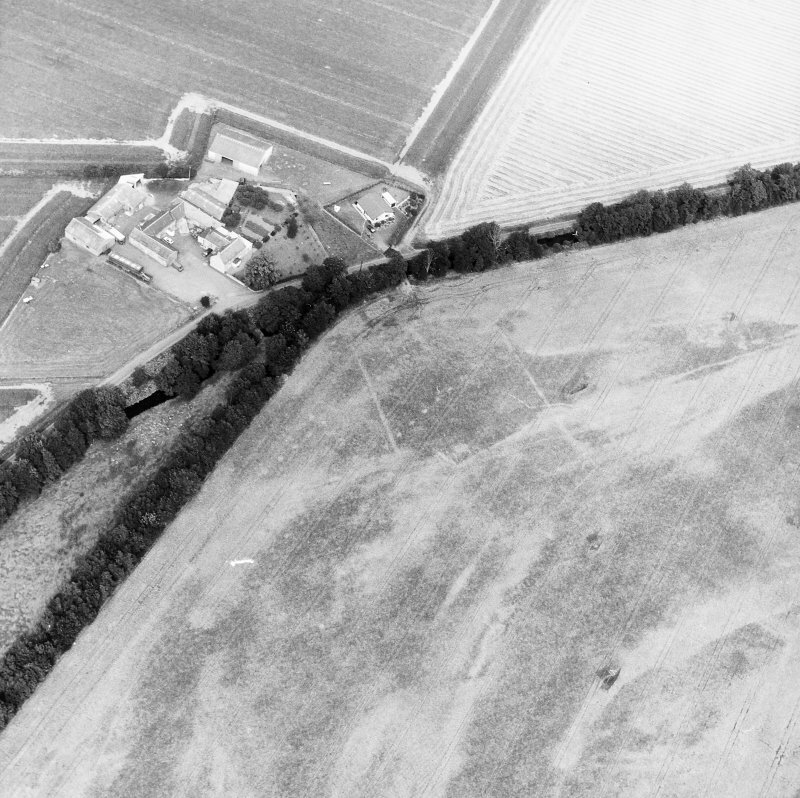 Oblique aerial view of the cropmarks of the enclosure, looking SSW. 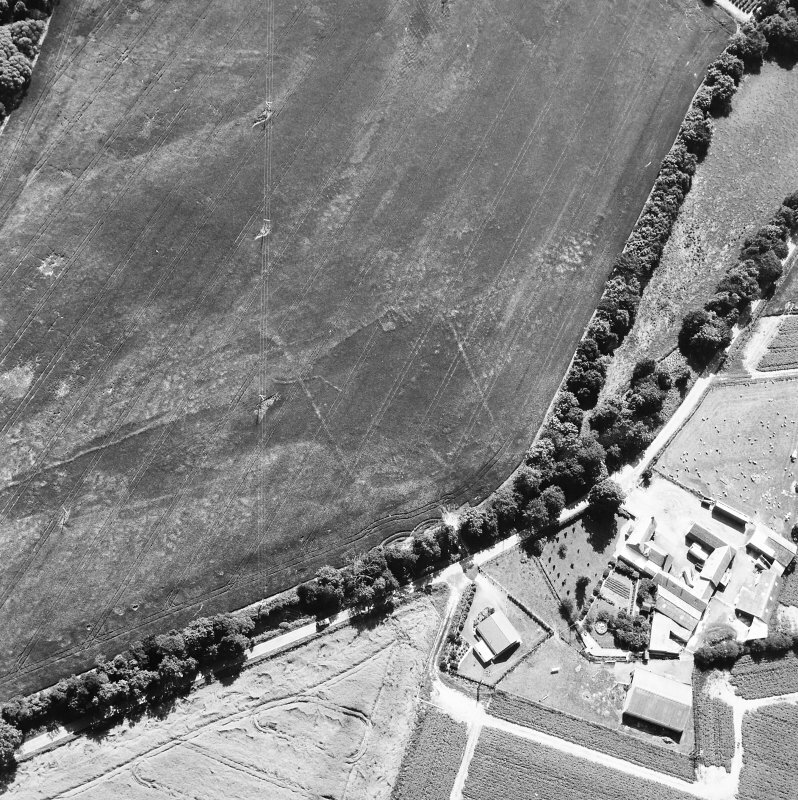 (Formerly classified as pit-alignments). 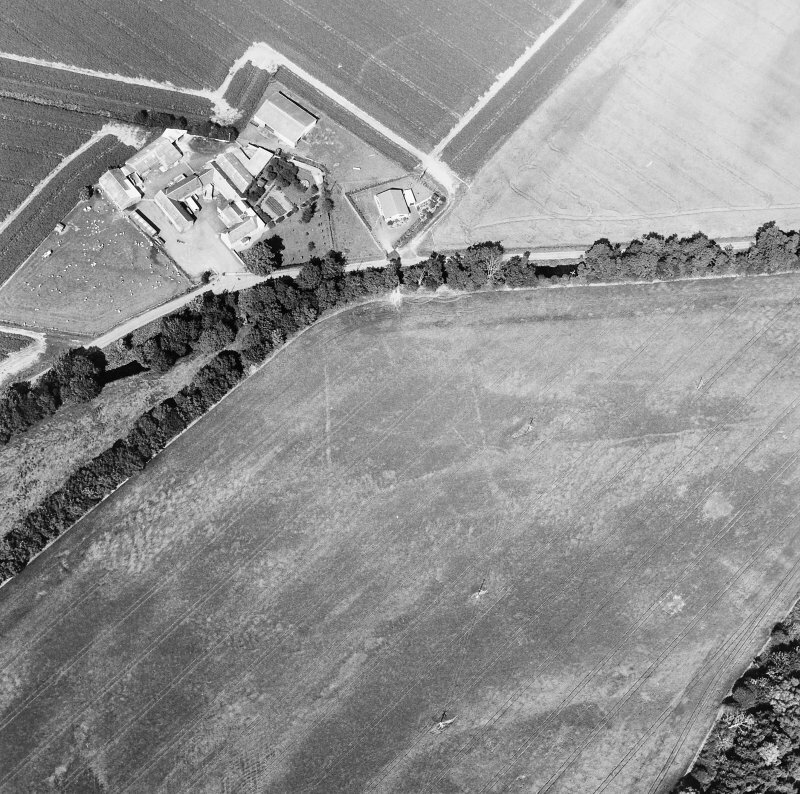 Aerial photography has revealed two parallel lines of pits cutting across the haughland to the S of Milton of Rattray steading. 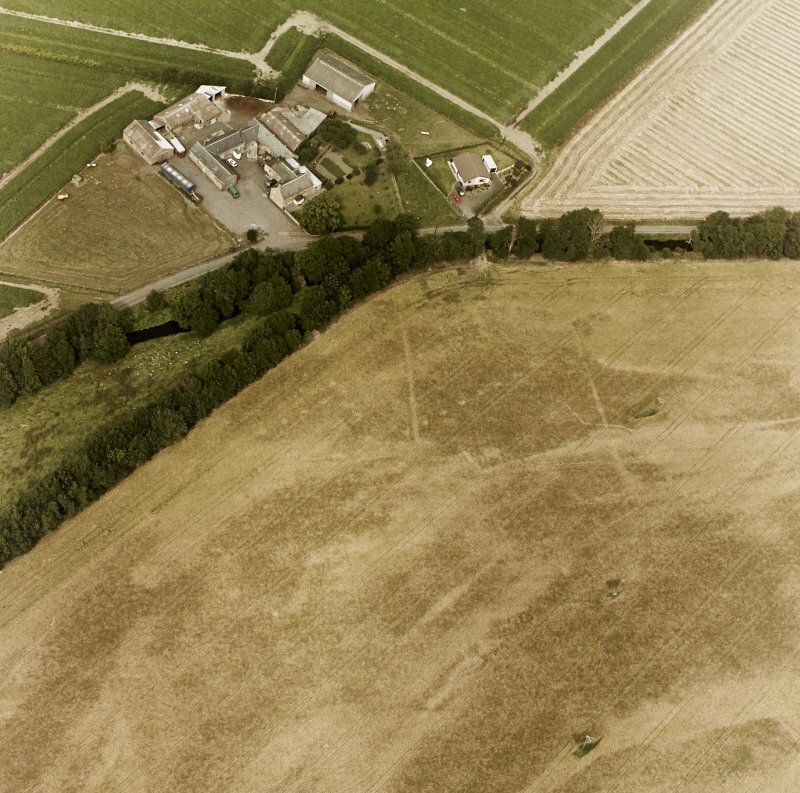 Set some 18m apart, they are aligned from E to W and the pits are set at intervals of about 4m. 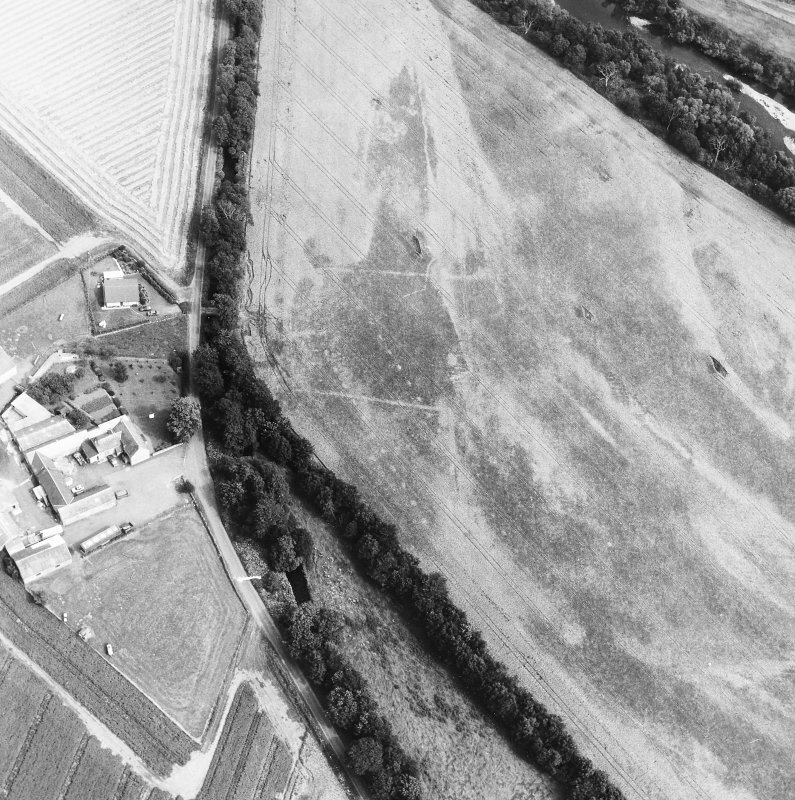 The two alignments almost certainly belong to a pit-defined cursus but, as yet, no trace of either terminal has been recorded. Information from RCAHMS (SH) 12 January 1993. 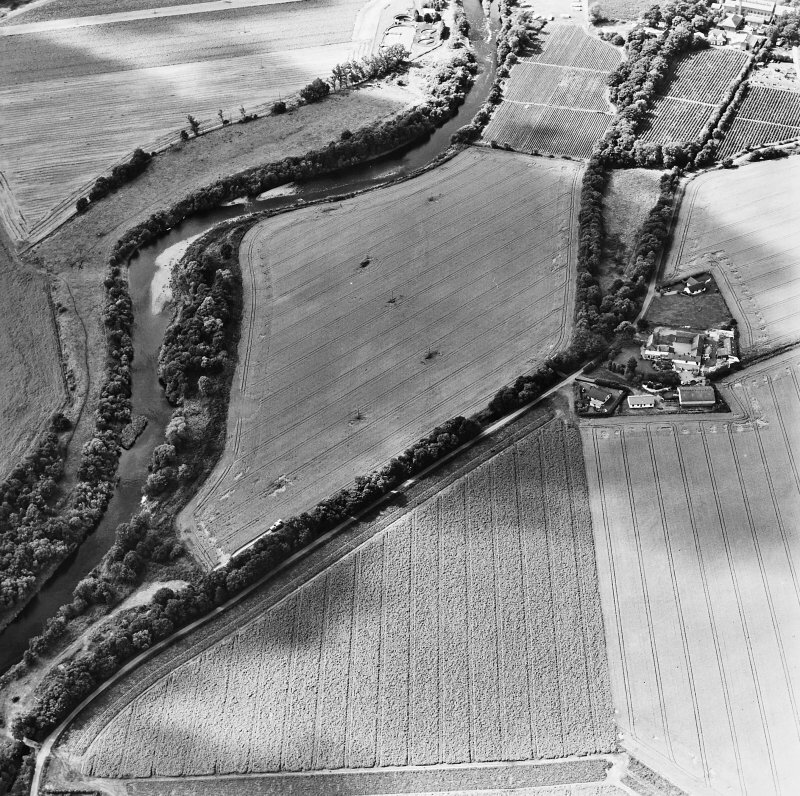 NO 197 447 A possible pit-defined cursus lying on the flood plain of the River Ericht 1km E of Blairgowrie was identified by aerial photography in 1990 (NMRS NO14SE 82). 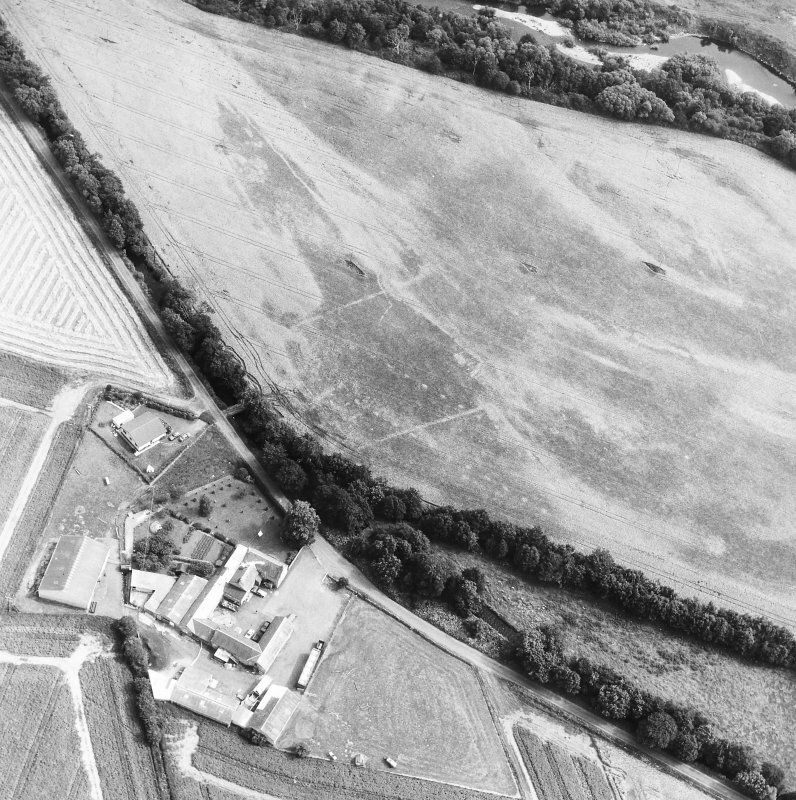 It is defined by two parallel pit alignments, visible for 75-120m, and 20m apart, running in approximately an E-W direction. 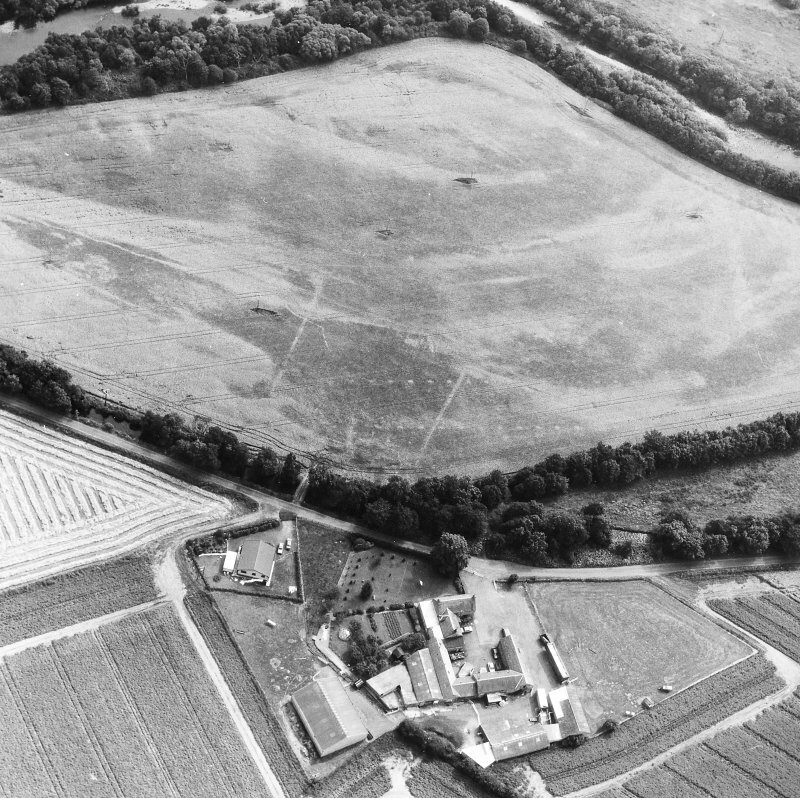 The large pits defining the site appear from the air to be 4-6m apart. 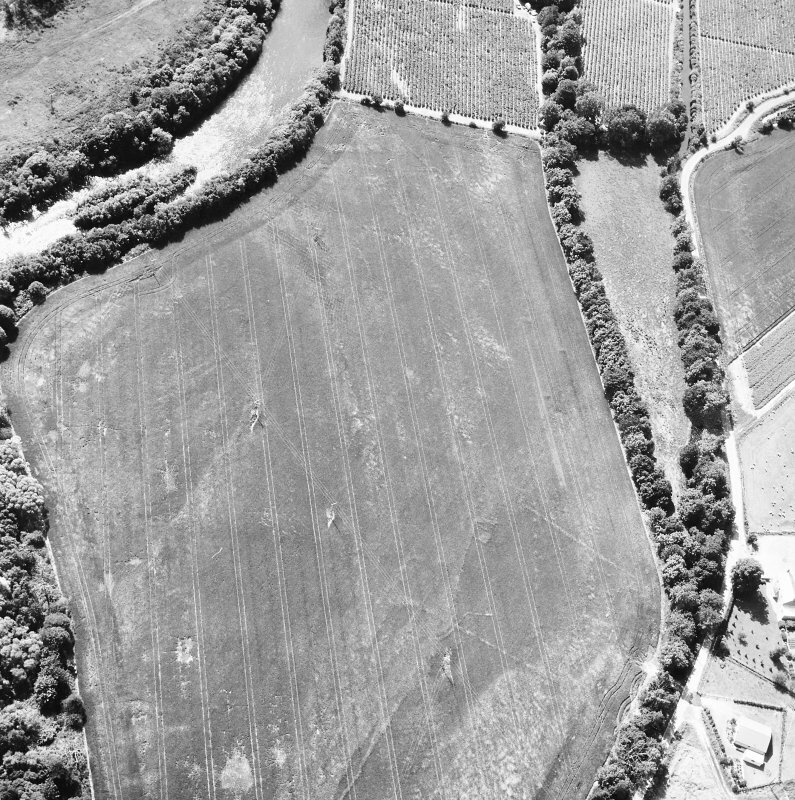 Excavation of one of these features revealed it to be a shallow elongate pit, 2.6 x 1.2m in size, with a maximum depth of 0.35m. It appeared truncated, but the level of truncation was unclear. The bottom was reasonably level, and the sides shallow sloped (although steeper on the S side). 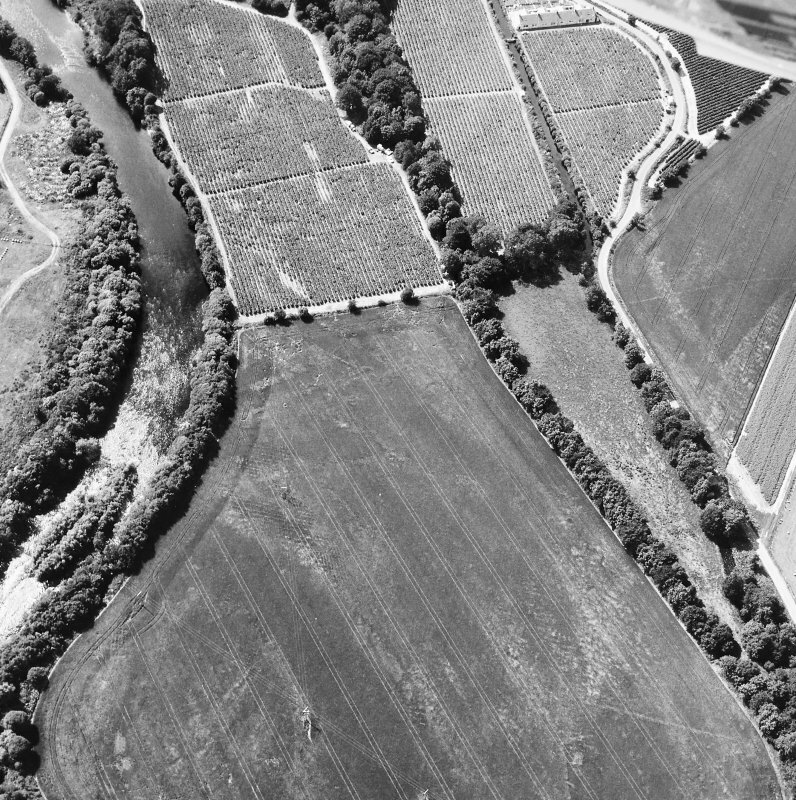 The fill was a uniform sandy clay, quite distinct from the natural river gravels the pit was cut into. 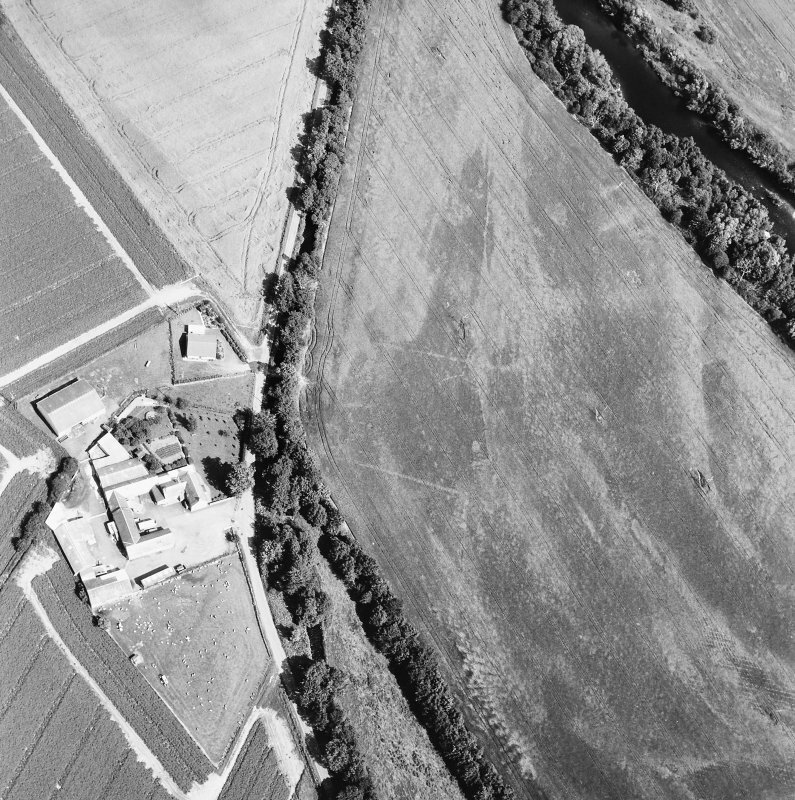 The long axis of this pit had the same orientation as the pit alignments themselves. 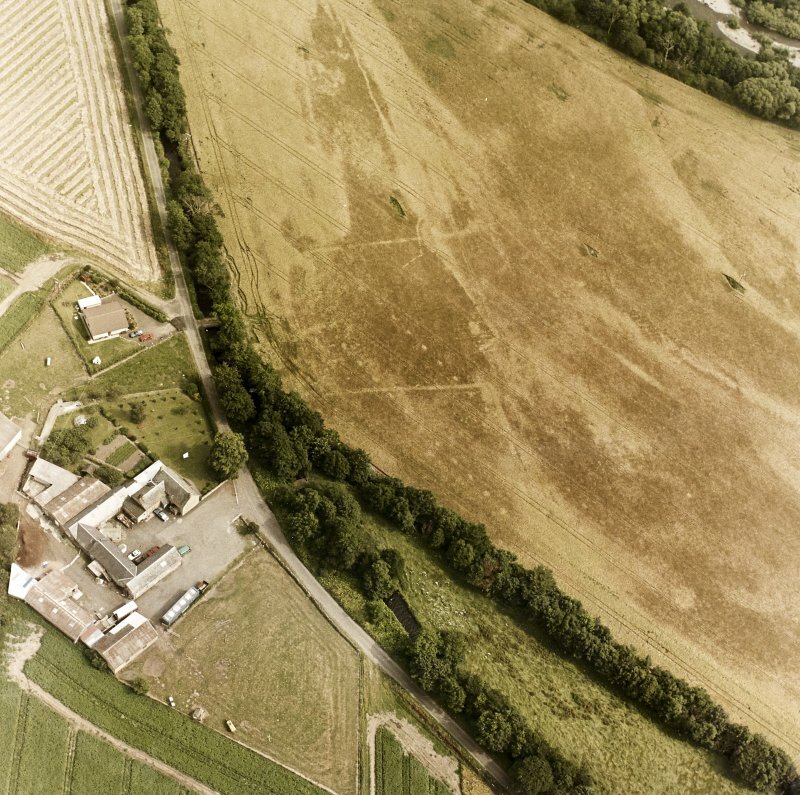 No artefacts or datable material were recovered. 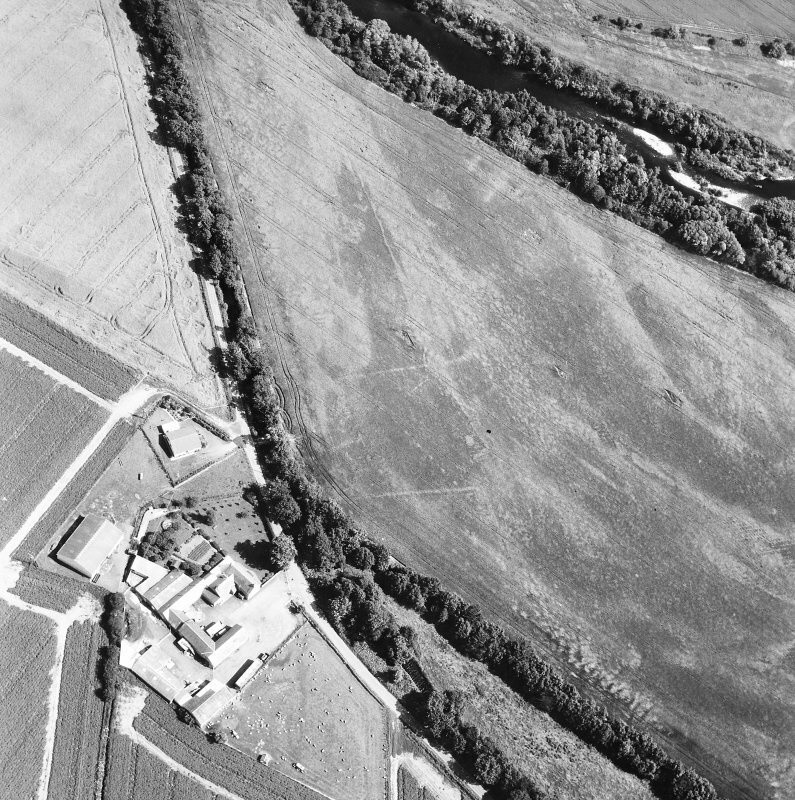 A second pit feature was located, beneath what appeared to be a spread of its own fill. 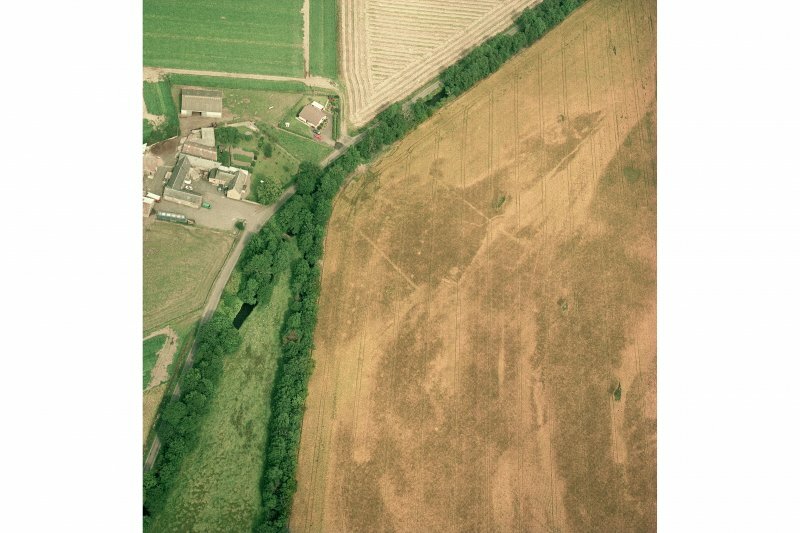 Limited sectioning of this feature suggested it to be of a similar nature to the fully excavated example. 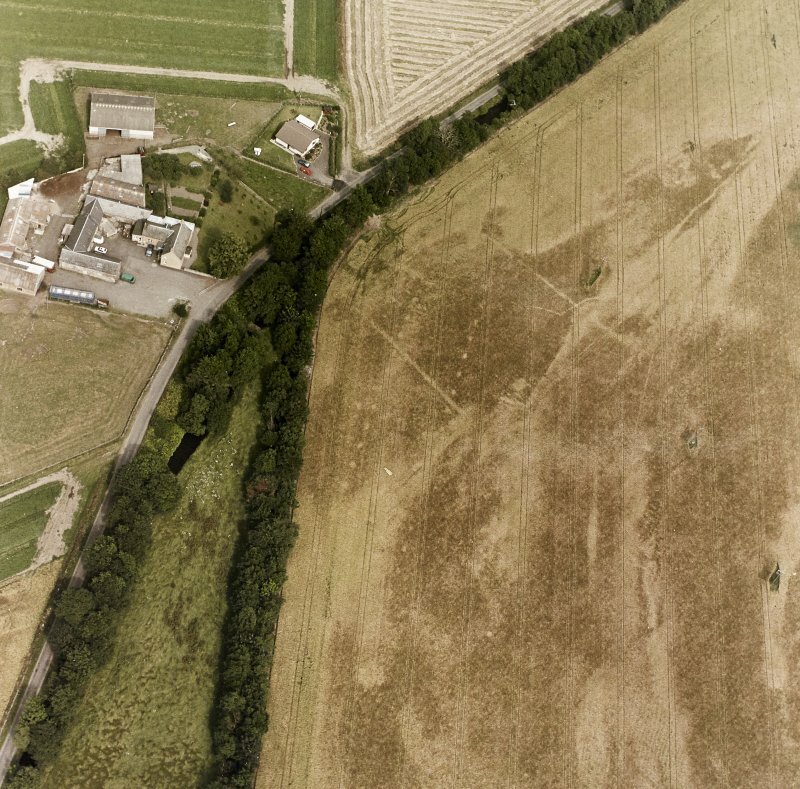 Small-scale investigation into the area between the pit alignments revealed no further features. 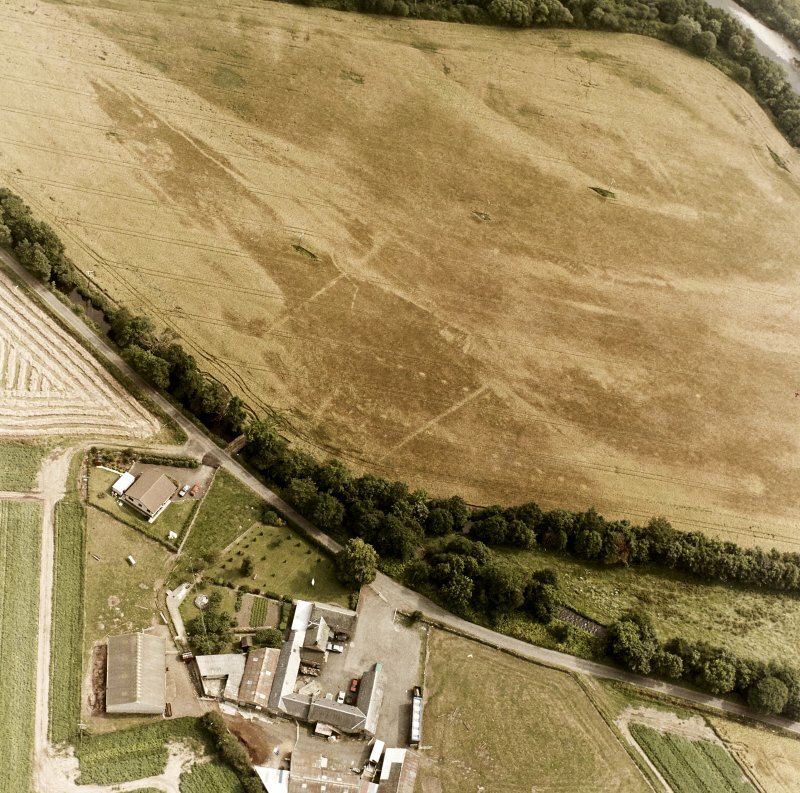 Whilst no extra light was shed on the dating of this site, the possibility that it was some form of pit-defined cursus or avenue cannot be ruled out. 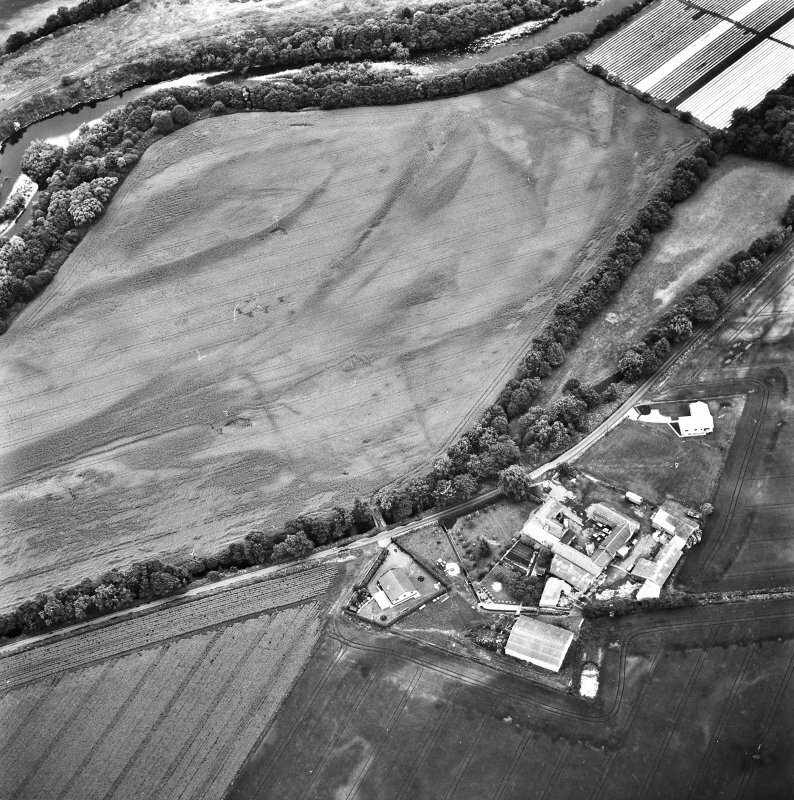 NO 197 447 Small-scale excavation of a possible pit-defined cursus (Brophy 1997) investigated one of these pit features in the northern alignment. 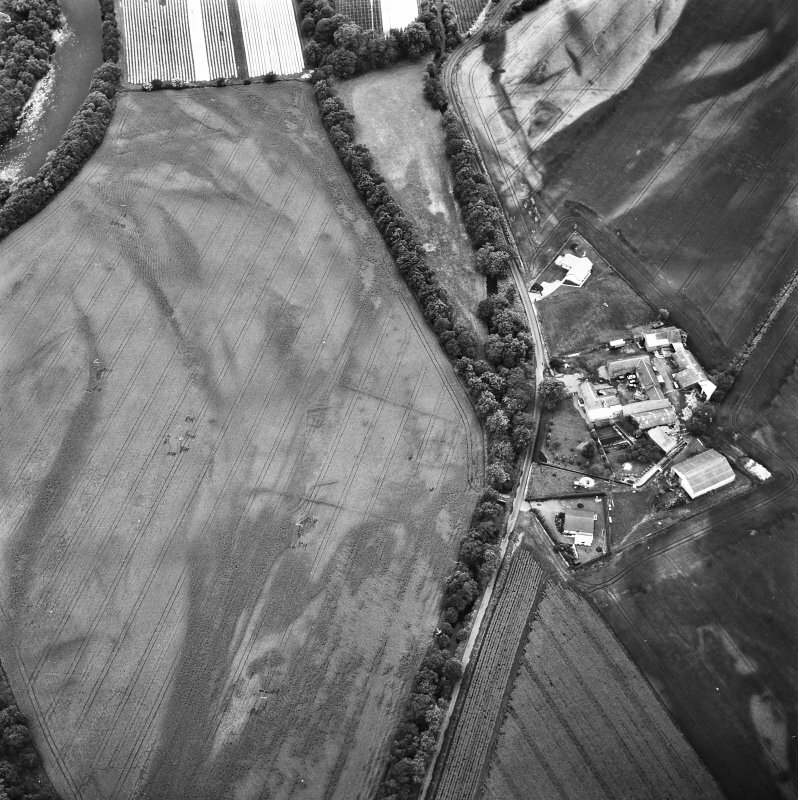 A second short season of excavation in 1998 revealed a further four pits, two each in the N and S alignments. 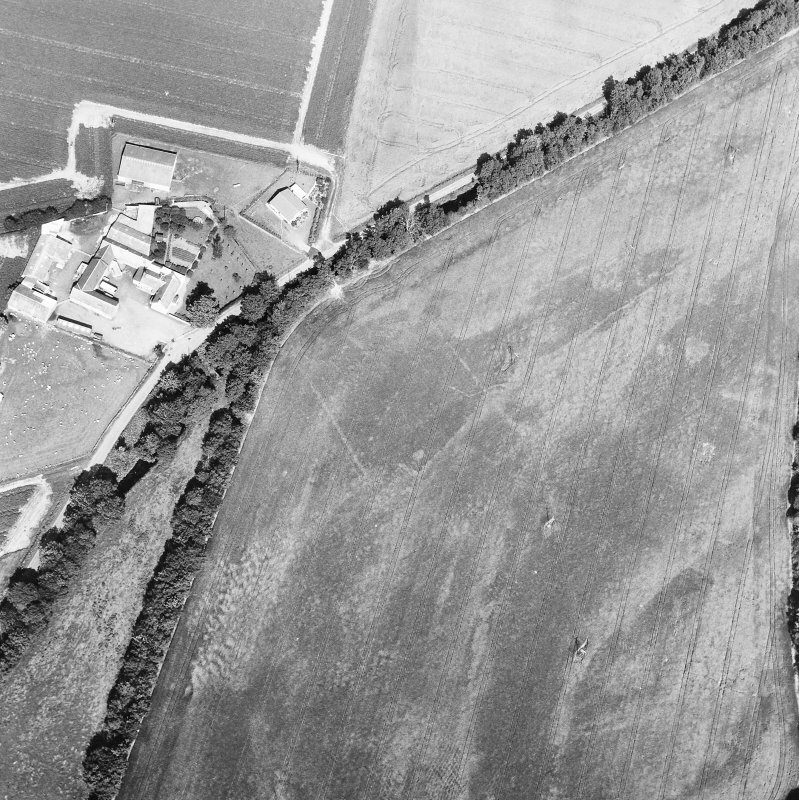 These proved to be very similar in shape, size and content to the pit excavated in 1997. 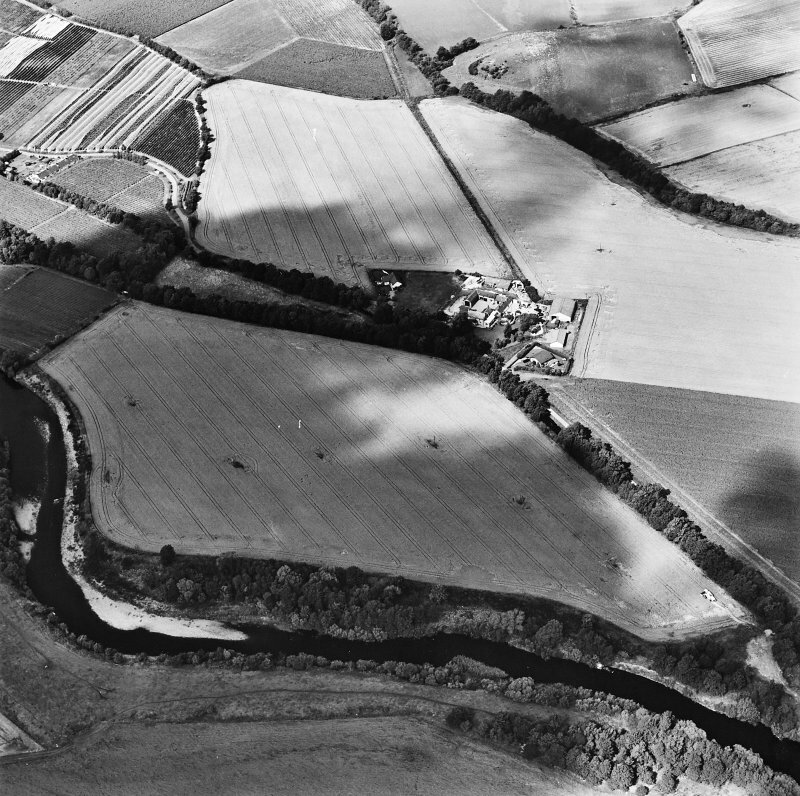 Several of these features were joined by a very shallow slot or channel, the cut of which could not be differentiated from the pits themselves, and again, the fill was a uniform sandy clay. The pit alignments, therefore, represent near continuous, if ephemeral, boundaries. 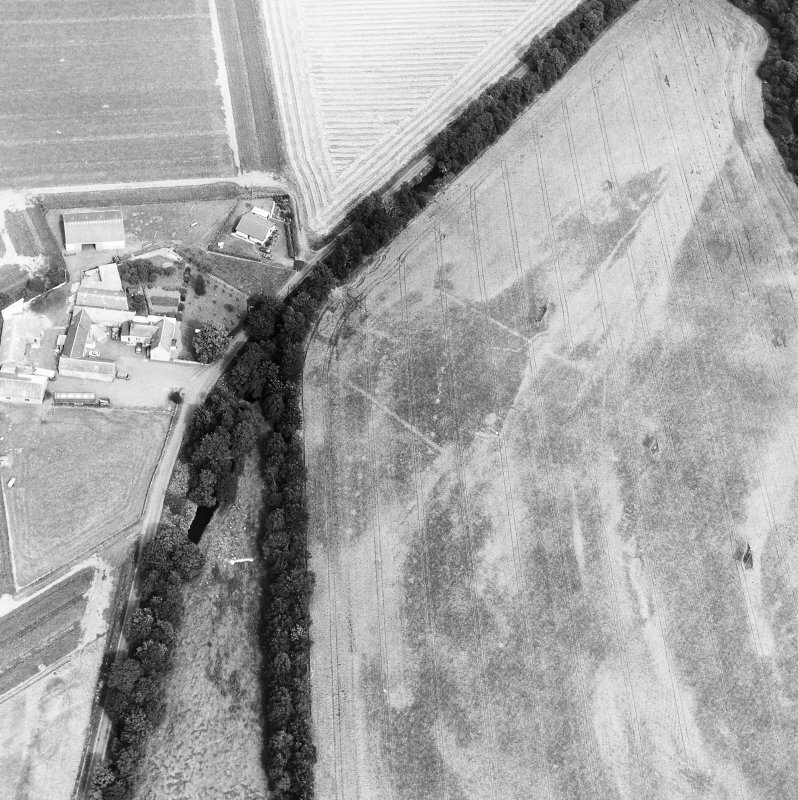 A straight ditch running across the line of the 'cursus', also visible on aerial photographs, was shown to cut the channel, and may represent a later enclosure. 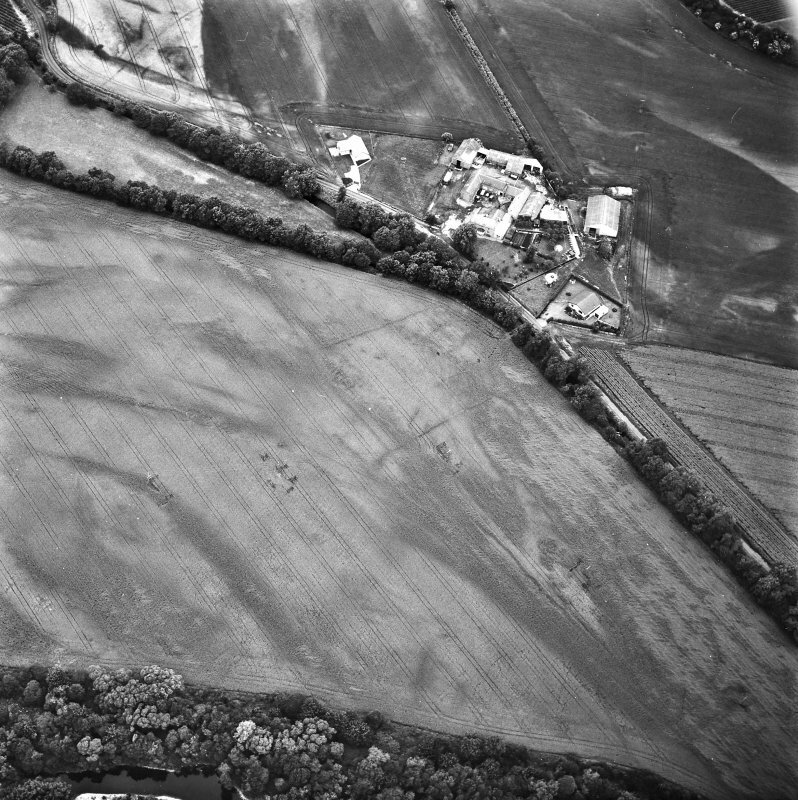 As with the first season, no evidence for the date of these features was uncovered, nor were there any finds. 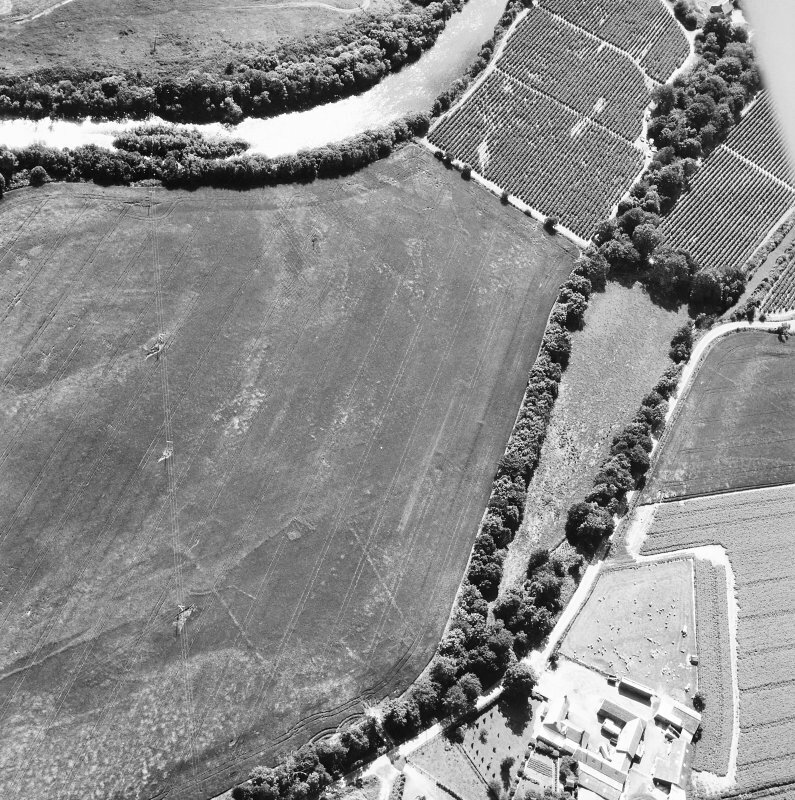 The initial interpretation of the site as a possible cursus, therefore, cannot be ruled out on the basis of this excavation. 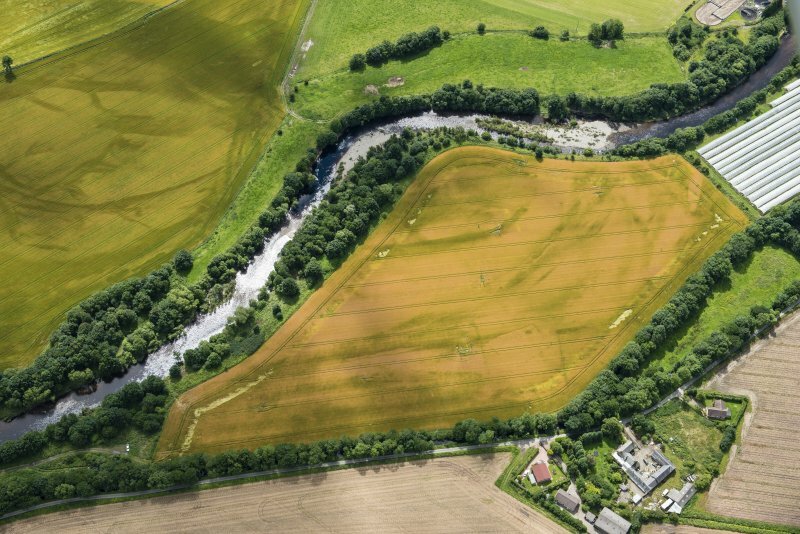 Cursus sites in Scotland share the attributes of being parallel-sided elongate rectilinear enclosures, and being situated near to rivers on flat, low-lying land- characteristics of this site. A Baines, K Brophy and S McKeand 1998.